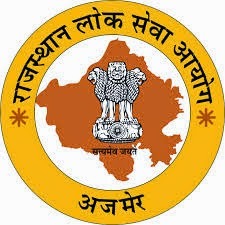 RPSC Recruitment 2015: The Rajasthan Public Service Commission has declared the notification for the Tehsil Revenue Accountant (TRA) 279 Vacancies. The candidates apply for online application before the 15/05/2015 till 12:00 midnight. Now candidates go to visit the official site rpsc.rajasthan.gov.in to apply online. Then candidates apply the application and they will annouce to provide the admit card for the RPSC Recruitment 2015 exam. Here we have published the detailed notification like as age, qualification, dates others information given below. The candidate's should be completed the degree in Arts, Science, Commerce or Agriculture from the recognized university established by Law in India & "O' or Higher Level Certificate Course conducted by DOEACC under control of the department of electronics. Candidates age limit must be minimum age 21 years and maximum age 35 years. The age relaxation will be available for the candidates as per the rules. The selection process based upon the candidates will have to appear in the written exam and later the shortlisted candidates called for interview. Eligible candidates apply through the online official site rpsc.rajasthan.gov.in 15/05/2015 till 12:00 Midnight.